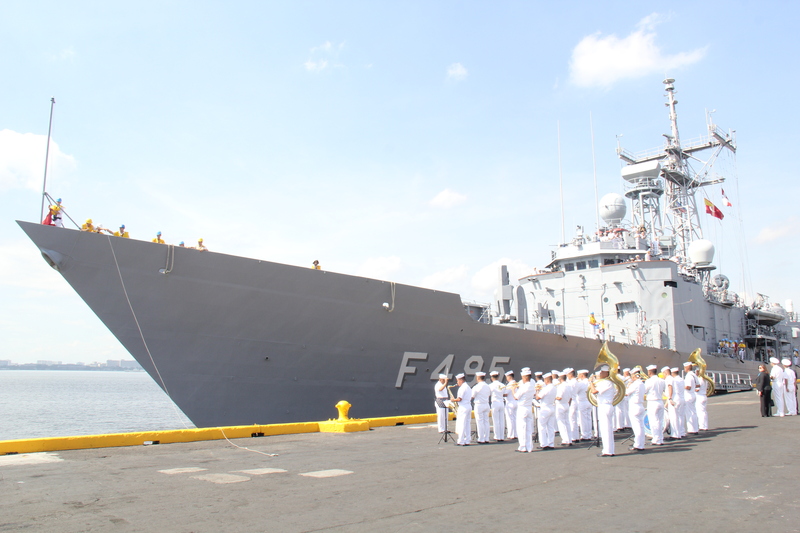 On 15 June 2015, F-495 TCG Gediz becomes the first Turkish warship to dock in Manila, Philippines. This 4 day visit in Manila will foster the bilateral ties of the two nations. The Turkish Navy ship was met by the BRP Silang Patrol Gunboat (PG14) near Corregidor and escorted it to the port area in Manila. “A meeting procedure is a customary Navy event observed internationally where the host’s ship meets with the visiting ship and escorts it to their port of call,” said Navy public affairs office chief Commander Lued Lincuna. A port briefing aboard the Turkish vessel on security, safety and health was given by Philippine Navy personnel after the ship’s arrival. The commanders of the ship will meet senior officials of the Philippine Navy and other top level military officers. There will also be tours, goodwill games, receptions and other professional exchanges as part of the port visit.